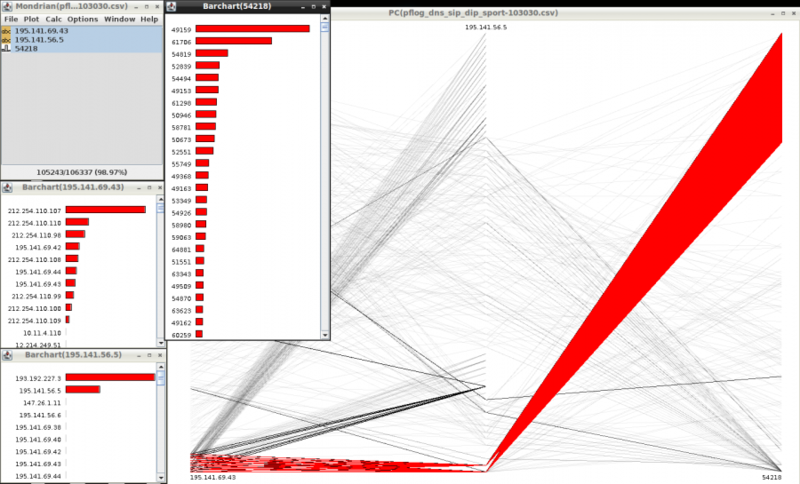 This is a screenshot from a tool called Mondrian where we show network traffic. DNS traffic in particular. The bar charts show the breakdown of sources, destinations, and ports. The parallel coordinate shows all three variables at the same time. The red parts highlight an interesting visual pattern. What is it?